On the first day of real estate my true love gave to me… Spend some focused time on your real estate database prior to 2018. If you don’t have a database then assemble one. Input names from your phone, emails, social media and client files. Take the time to build a monthly database touch system for 2018 making specific activities each month to add value and deepen your relationships with your database. This “give to get” activity is the best way to increase repeat and referral business in 2018. On the Second Day of real estate my true love gave to me… Create an online lead generation system. 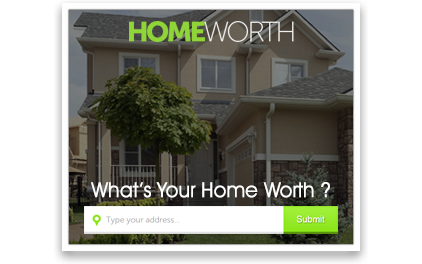 These landing pages capture a seller who is curious what their current property value is or a buyer who wants to be notified of hot new listings and beat other buyers to them. Check out Prime Seller Leads real estate leads or Agentlocator real estate leads for this. A nice steady stream of buyer and seller leads from a good landing page keeps you from those peaks and valleys in your business. This is a great way to create more buyer and seller leads all year long while you are busy serving your active buyer and sellers and when you don’t have the time to prospect. 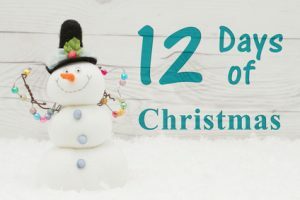 On the Third Day of real estate my true love gave to me… 2 daily hours of power prospecting and lead generation. High-volume agents don’t just service existing business and then start lead generating once they have closed the majority of their transactions. Instead, they block time (usually in the morning so it gets done) to do something each business day that gets them closer to earning a new client. In a nutshell, there are two ways to be successful in real estate: By Default: live in the same area for years where everyone knows you and eventually sends you business; or By Design: time-block a relatively small portion of each business day to proactively generate for new leads. On the Fourth Day of real estate my true love gave to me… Listings is the name of the game. The power of the spin is where a listing can generate up to 15 other pieces of business if done right! If a real estate agent is working more than 65 hours a week and not closing more than 45 transactions annually, the agent either has a time management problem and/or is working with far more buyers than sellers. You can handle four times as many listing sides than buyer sides at the same time. So, top producing real estate agents always focus their lead generation activities on the listing side. Top listing sources are your sphere, open house, FSBO, expired or door knock looking for a bona fide buyer. On the Fifth Day of real estate my true love gave to me… Face to Face activities like coffee, lunch, door knock, open house, kiosk, floor duty, networking, volunteering and a “pop by” are all great. We know conversion is higher when you are face to face and the prospect can tell if they like or trust you quickly and want to do business with you. Although many agents are reluctant to reach out to people. On the Sixth Day of real estate my true love gave to me… An Agent to Agent referral system with other agents working the areas where the people and business is coming from to buy real estate in your market. Contact them once a month and stay top of mind and be that referral agent source of choice in your market area. Share tips and ideas with other agents to keep top of mind and make them feel like they want to refer you their clients moving to your area. This is a lucrative business opportunity if done consistently. On the Seventh Day of real estate my true love gave to me… The power of words. Scripts and dialogs are important. Successful real estate agents understand whether they use someone else’s scripts, dialogs or their own, they’ll eventually start saying the same things they know will work. Using tested real estate scripts created by others simply eliminates the trial and error process and enables agents to start seeing desired results more quickly. Sound like your planned and engage and attract the clients to want to work with you with your powerful words of persuasion. On the Eighth Day of real estate my true love gave to me… Have powerful sales presentations and visuals. Pre seller and buyer packages. Don’t tell them but show and sell them. Have a visually powerful presentation for listings, buyers and pricing. Don’t just wing it and leave things to chance but engage people to want to do business with you, your company and NOW! Talk alone is cheap. The most powerful visual sales tool is a pad and pen and being able to show prospects and tell them has greater impact than words alone. Remember some of us are visual and some of us are auditory but we don’t know which one they are. On the Ninth Day of Christmas my true love gave to me… Know your why, purpose and vision. My goal that drives me every day is to impact and improve people’s lives personally and professionally every day. Real estate is the vehicle that makes this happen. We all need to be part of something bigger than ourselves. If your why is big enough then the how takes care of itself!! I love having a vision board with images of the things that drive me, move me, I want and need to experience each and every year. Never underestimate the power of a vision, purpose or why! Create that vision board and place it on your screen saver. On the Tenth Day of real estate my true love gave to me… Be a servant and focus on helping others get what they want and you in turn get what you want. Listen for the need and be aware of others fears, challenges and offer to help. So as to not “bother” the general public when prospecting for new business, top real estate agents always tie the reason they’re contacting people in with providing some type of value at the same time. Always come from a mindset of contribution. Helping you is what we do. Listen for the need. Take care of people and the cash takes care of itself. On the Eleventh Day of real estate my true love gave to me… Be a lean mean appointment setting machine. The money in sales is in the conversion to the appointments. No appointments then no presentations. No presentations means no contracts or agreements. The lead generation is great but not having the skill to convert to the face to face appointment is a real estate killer. Know what you have and what you can offer for them and engage them to want to sit down and meet with you. What is your value proposition for a buyer and seller? Why you? Why now? I trust your holiday season is full of love, happiness and joy.